After eight months of development and seven months of testing its Urban Lab 2 vehicle, Renault Trucks has recorded a 12.8% reduction in fuel consumption and CO2emissions in urban and suburban environments, compared to a standard type truck. This result was obtained by optimising aerodynamics, the drivetrain, tyres and vehicle-infrastructure communication. Reducing the fuel consumption and CO2emissions of its vehicles remains a core concern for Renault Trucks. 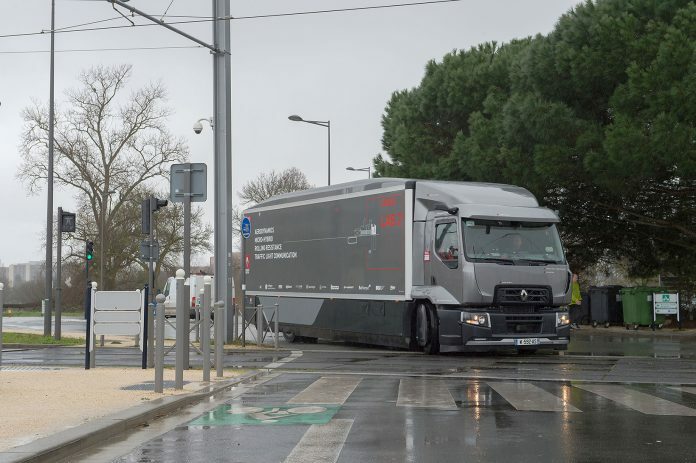 The EDIT (Efficient Distribution Truck), collaborative project was launched in 2016, involving Renault Trucks and six partners – Valeo, Lamberet, Michelin, BeNomad, INSA de Lyon (LamCoS) and IFSTTAR (LICIT). The aim of the project was to achieve a 13% reduction in fuel consumption in urban and regional use for temperature-controlled trucks. The project produced the laboratory vehicle, Urban Lab 2, which, after seven months of testing and 4,500 km of driving on open roads or a rolling road, achieved the initial targets. Urban Lab 2 uses 12.8% less fuel than the reference vehicle, a Renault Trucks Range D Wide, giving a total reduction of 3.5 litres of fuel and 9kgs of CO2per 100 kilometres.